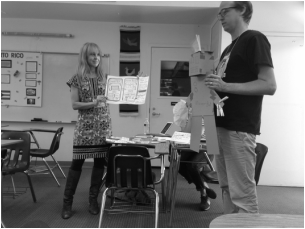 We would love to join you at your school or conference to share our love for Design Thinking. All workshops are hands on and we adapt the focus to the needs of your organization. Let's build a long term relationship. We can support your mindset transfomation by visiting your school, hosting you at our school and collaborating digitally. Look for us at various conferences and events around the country. Let us know you are there so we can meet up! Browse the various Design Thinking projects we have experienced with our kiddos. Videos, organizations and articles that have inspired our journey. Hope they inspire you as well.